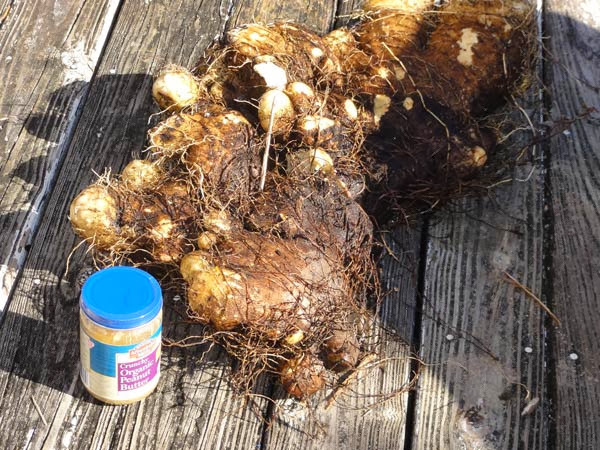 Florida Survival Gardening: Winged Yam Success! Impressive, eh? That's a jar of peanut butter in the foreground for perspective. That's ONE winged yam tuber. Mart also reported that this was a two-year-old vine and that insects leave his vines alone. He also reported that the roots are delicious, particularly with butter like a white potato. See why I call these puppies a perfect prepper crop? So those are the roots? Wouldn't it kill the plant to pull the roots? Or is it so prolific that killing some doesn't make much difference? How long does it live? Yes - that's the root. 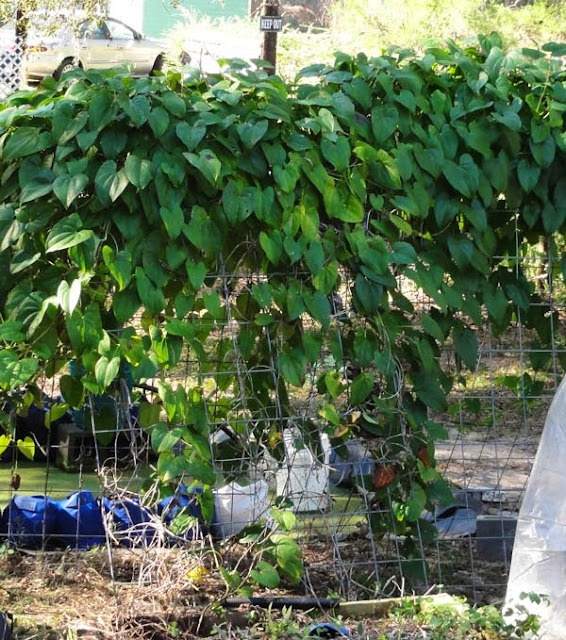 It does kill the plant to pull the roots; however, the vine creates multiple hanging "bulbils" that you can plant the next spring. They'll grow underground into big new tubers by the next fall. Bonus: you can eat those hanging bulbils, too, if you have extras. One other thing: they'll die back every year in the fall, then come right back from the root. It's a perennial that adds new extensions to its underground tuber every year. If you're near Ocala, I can show you where some are growing. Good find. Please let me know - if they're good, I'll link to them.